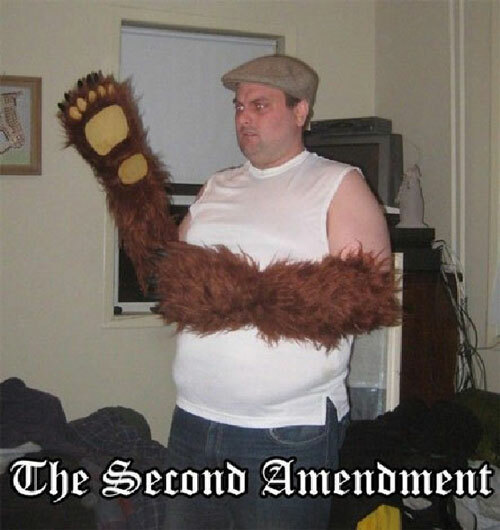 The second amendment gives Americans the right to bear arms. I think many have taken this out of context. The Second Amendment (Amendment II) to the United States Constitution: A well regulated militia being necessary to the security of a free state, the right of the people to keep and bear arms shall not be infringed. Created about 7 yrs, 4 mths ago (December 1, 2011). Updated about 7 yrs, 4 mths ago (December 1, 2011).